Genius – series 2, airing from 24 April. Mireia Oriol has completed filming for Clara, the young lead in feature film ‘El Pacto’ opposite stars Belén Rueda and Darío Grandinetti, predicted release date August. Great to see GFCA 2013 alumnus Richard Mason featured in Empire magazine! His lead role as Scott in the feature film SCOTT AND SID is out in cinemas from 9 March – watch the trailer. Read another great article about Richard in Birmingham Living magazine. USA premiere in New York for the award-winning Daniel Day Lewis film Phantom Thread, featuring alumnus Lujza Richter as Princess Mona Braganza. And catch Nikki Angus, in the restaurant scene! 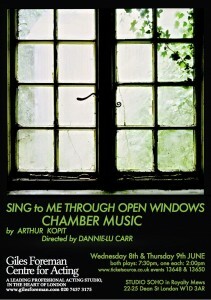 Alumnus Duarte Ventura has written, & acts in a new play ‘Painting’, directed by actor-director alumnus Julia–Maria Eiben, at the White Bear Theatre. 2015 alumni – Marianne Chase has devised a 1-woman show and is performing it in the Edinburgh Festival: ‘raucous, sweet and very funny!’ And Hector Moss is the lead in a play also in the Festival, and then touring for a month in India. Alumni Tom Sharp and Ben Manz play ‘Anglais 1 & 2’ in feature film ‘Bonne Pomme’ starring Gérard Depardieu and Catherine Deneuve. We are pleased that this year’s Foundation Acting Diploma 2017 students have achieved an average mark of 74% in their ATCL examinations, maintaining the excellent standard of previous years. Studio member Candis Nergaard is the lead on BBC Radio 4 (and on iplayer) in DH Laurence’s ‘The Gypsy’. Giles Foreman was invited to address 150 members of SAG-AFTRA in Los Angeles, and a few days later again in New York, during his most recent trip to the USA. He focussed on the Centre’s core teaching of Character Analysis, the pioneering work of Yat Malmgren and Christopher Fettes, and presented through the book A Peopled Labyrinth. Tiger Girl – with GFCA alumnus Ella Rumpf in the title role – opened the 2017 Berlinale Film Festival. Press conference interview. 2016 PG graduates – Marc Bosch has signed with Imperium Management, and Joseph Russell has signed with Patrick Hambleton Management – congratulations to both! 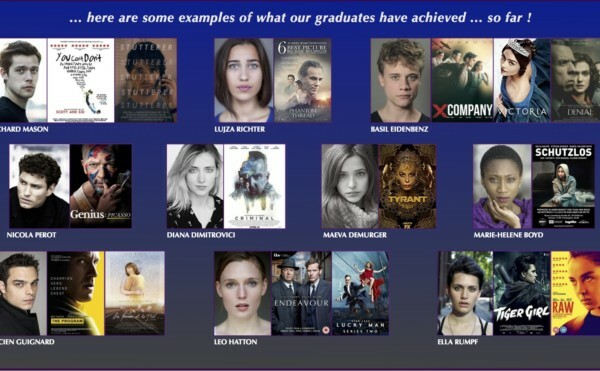 2 other alumni have been signed up for high-profile feature-film roles – more details to follow, as soon as we can release them! La Femme et le TGV“, directed by Timo von Gunten (Switzerland) featuring PG 2013 alumnus Lucien Guignard has won Best Short Film at the Sitges International Film Festival! October 19, 2016; and the Audience Choice ‘Narrative Short’ Award, at Heartland Film Festival! 2015 graduate Conor Berry has been cast as the lead in SCHEMERS, an exciting youth culture/music orientated feature film set in 1979, being shot in Dundee. Basil Eidenbenz appears as Lohlein in the popular new ITV costume-drama VICTORIA. ‘Criminal’ – with alumnus Diana Dimitrovici. 2015 graduate Samuel Arnold has just booked a role in a forthcoming French TV drama series. 2013 group alumnus Basil Eidenbenz is now filming 6 episodes of new TV costume-drama Victoria, as Lohlein – due on our screens this Autumn. 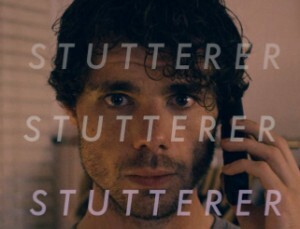 We are delighted that STUTTERER, featuring post-graduate 2013 alumnus Richard Mason, has won the Oscar for Best live-action short film at the 2016 Academy Awards. 2016: Giles directs Oleander, the pilot for a TV series set in Luxembourg and written by Tara Donnell. September 2015: GFCA is proud to publish and launch the defining book on Character Analysis written by Christopher Fettes, after having designed and printed it over a 3-year development period. June 2014: Giles directs Maureen Lipman, Philip Franks and David Sibley in short film Job’s Dinner, released this month.